This report was revised under the following title, Pavement Performance Measures and Forecasting and the Effects of Maintenance and Rehabilitation Strategy on Treatment Effectiveness (Revised) (FHWA-HRT-17-095), available at www.fhwa.dot.gov/publications/research/infrastructure/pavements/ltpp/17095/index.cfm. 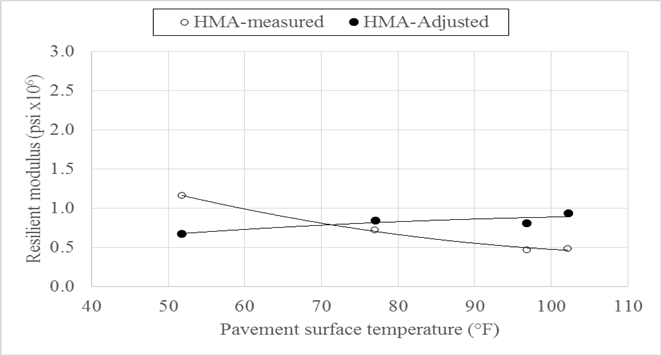 “How effective will a particular treatment be on this roadway?” Data from the Long-Term Pavement Performance (LTPP) program have supported efforts to answer this question. 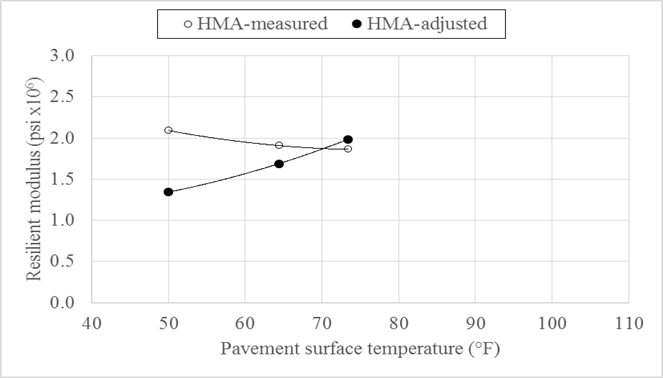 This report documents work to advance the development of pavement performance measures to classify pavement sections, estimate future pavement conditions, evaluate the effectiveness of pavement maintenance and rehabilitation treatments, and analyze the role of pavement treatment strategies in extending pavement life. 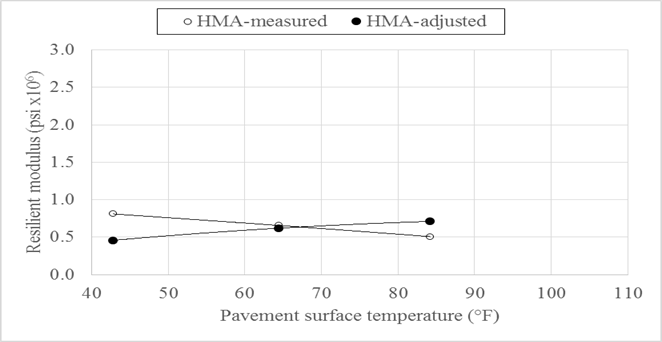 Data from the various LTPP experiments were analyzed to define pavement performance in a way that supports the selection of cost-effective pavement treatment strategies. The research approach and results are presented in this report, including 1) the newly developed dual (functional and structural) pavement rating systems and their impact on pavement management, 2) the impacts of pavement preservation actions on pavement performance and longevity, 3) the effects of various pavement design parameters and climatic factors on pavement performance, 4)the aspects of a newly developed global model to accurately adjust the measured pavement deflections, and 5) the elements of a new statistical model to predict future pavement condition and distress based on a single data point. This report can be used by pavement researchers, teachers in academic and lifelong (continuing) education settings, practicing engineers and contractors involved in pavement preservation, and road owners to develop cost-effective pavement preservation strategies. The Federal Highway Administration Contracting Officer’s Representative was Yan “Jane” Jiang. New and innovative pavement performance measures and rating systems were developed and successfully implemented using pavement condition and distress data obtained from the Long-Term Pavement Performance (LTPP) database and the databases of three State transportation departments—Colorado Department of Transportation, Louisiana Department of Transportation and Development, and Washington State Department of Transportation. 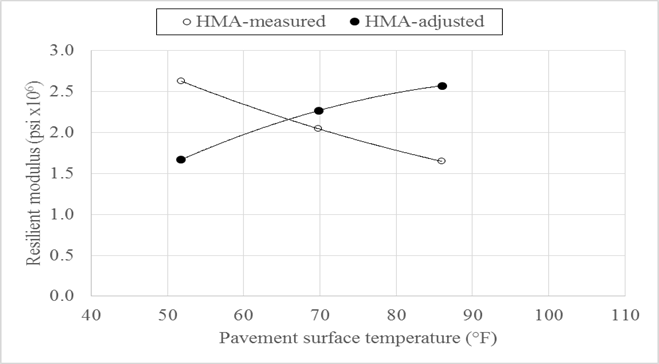 The new systems were used to calculate the benefits of various pavement treatments, determine the impacts of the pavement conditions in climatic regions on pavement performance, and assess the effects of design variables on pavement longevity. All analyses were conducted using MATLAB®-based computer programs that were specifically developed during this study. A preliminary method to estimate pavement performance based on a single data point was developed. 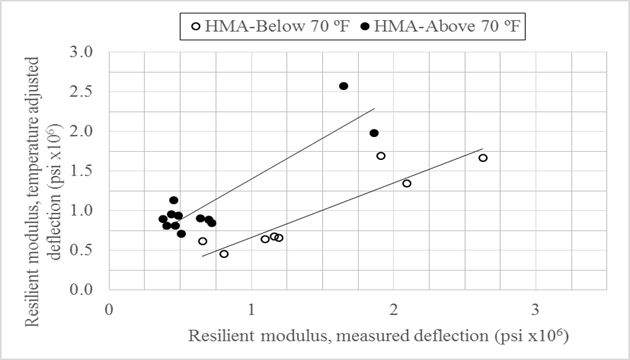 Finally, the LTPP measured pavement deflection data were analyzed to determine whether the data could be used as pavement distress indicators. 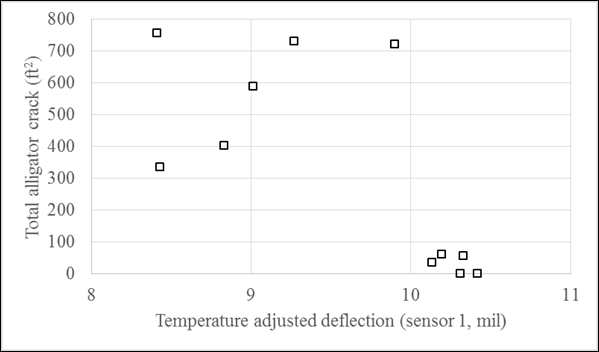 During the analyses, existing temperature-adjustment procedures were evaluated, and a global algorithm was developed that was applied to all deflection sensors in all climatic regions.